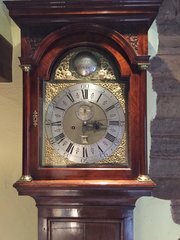 The Chimes of Whaley Bridge, Derbyshire are a long established retailer specialising in the sale of antique clocks from longcase (grandfather) clocks to wall and mantel clocks including rare collectables. "We will not be beaten on price, quality or service, on any of our clocks and always offer fair discounts for any cash sale and 12 months full warranty." "We only buy and sell genuine clocks, unlike so many antique shops, we are Clock Specialists, and only deal in the real thing." 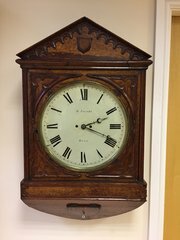 We can supply all manner of antique clocks for sale, including, longcase, wall or mantle clocks - dating from 1700 to 1940 along with many other interesting and unusual antique clocks. There are up to 60 clocks on display at any one time in our Whaley Bridge showroom. 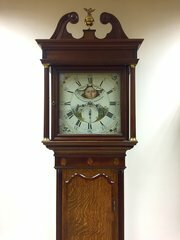 Longcase Clocks, popularly known as 'Grandfather Clocks', are a quintessential English antiquity. 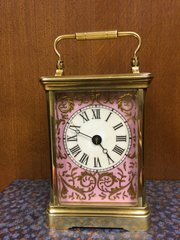 Many of these clocks were made in England between the late 17th and 19th centuries, although lesser numbers were produced in Europe and America. 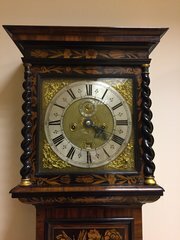 Standard antique longcase clocks can run for up to eight days and have an anchor escapement. 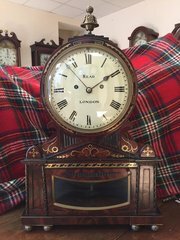 A superb selection of these genuine antique clocks are always available. This includes makers such as John Berry (circa 1725), Ben Hutchinson (circa 1705), John Tolson (circa 1705) and Peter King (circa 1705). 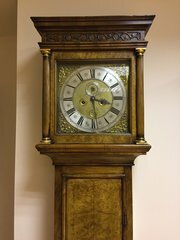 There is also a wide range of high quality provincial longcase clocks always available. 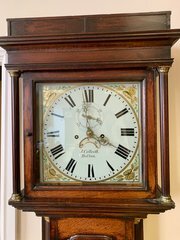 We also have a huge range of unique wall clocks and mantle shelf clocks for sale and occasionally we may also be able to offer exquisite antique cuckoo clocks for sale. Please enquire about international shipping.